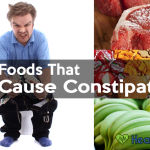 If you had problem with constipation then you must have heard of laxatives, which are to improve bowel movements. You may be familiar with quick-fix chemical laxatives in pharmacies. However, such over-the-counter laxatives are for short-term use only. Overuse can cause digestive problems. So have you ever tried natural laxatives? Before getting to know more about natural laxatives, it is necessary to identify what causes constipation. This digestive problem may result from a few causes such as lack of drinking water, stress, pregnancy, irregular eating habits or excessive intake of strong medications. The main reason of this condition is that muscles of the digestive tract get dry, they contract and make it difficult to pass stool. Natural laxatives can relieve you from constipation easily at home. They originate from the nature and they are beneficial to stimulating bowel movement. They can appear as a food, a drink, oil or a compound. A helpful natural laxative must eradicate constipation completely, create no adverse effects, take effect fast (usually within 6-12 hours) and do not interact with medications. There is a wide range of natural laxatives available in different kinds. There are five main groups as follows. Fibrous foods are a highly effective natural laxative that can be found easily. They earn their name for their richness in fiber. They make the feces bulkier and easier to retain more water. This help the stool pass quickly through both small and large intestines, as it is softer. This method takes effect after about 12 hours to 72 hours. Vegetables are classic example of fibrous foods. Stimulants can also be known as irritants, which increase waves of contraction in colon. The rise in this kind of movement propels colon to push stool out of your body. Popular natural stimulants are aloe vera and castor oil. Plant based foods, as its name suggests, are products from plants such as roots, seeds, fruits, flowers and oil. Some well-known natural laxatives of this kind are bananas, artichoke, coffee, soybeans, mangoes, papayas, pineapples, dandelions and so on. Lubricants are not as popular as natural laxatives mentioned above. You can name mineral oil as an example. However, an outstanding advantage of this emollient is the very short time lubricants take effect. It is around only 6 to 8 hours. They speed up the process of stool moving in your intestines by making it slippery. This saves you a great deal of time miserable in the restroom. The stool needs to retain a certain amount of water to pass through the intestines swiftly. Water helps soften the stool. Otherwise, dehydration makes it hardened. 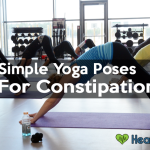 As a result, a lack of water in the body may also result in constipation. Epsom salt and milk of magnesia are natural ingredients that help your intestines concentrate more water and make the stool softened. 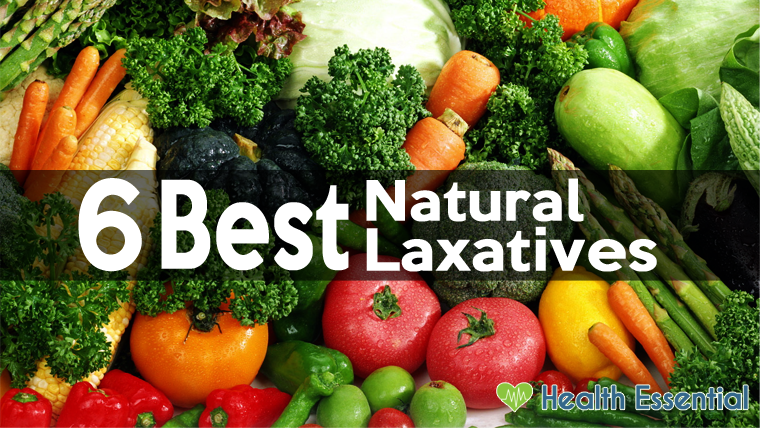 Below is a list of the most helpful natural laxatives. Prune earned a big reputation as remedy of nature. It is packed with dietary fiber (about 0.07 g per gram of prune) and sorbitol. 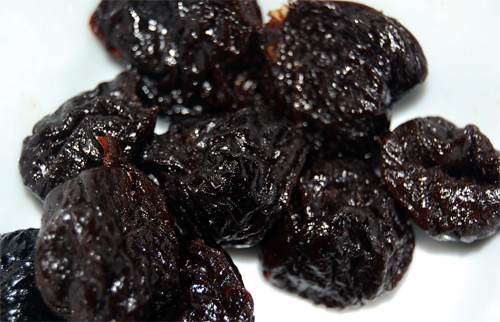 A glass of prune juice every morning when your stomach is still empty will improve constipation symptoms. However, improper cooking of prune (> 100°C) produces acrylamide, a known neurotoxin and a probable carcinogen. So make sure you use prune wisely. There are two types of fiber including soluble and insoluble. When getting in the stomach, soluble becomes gel and slows digestion while insoluble remains more or less the same. The body absorbs neither of these types. Roughage can be found in legumes, seeds, fruits and cereals such as split peas, lima beans, black beans, Brussel sprouts, artichokes, avocados, pearled barley, pears, broccoli, raspberries and blackberries. Olive oil is famous for its beauty benefit but few people know that it is also a good natural laxative. Take a teaspoon of olive oil every morning and you will never get constipated again. If the taste of pure oil scares you off, try adding some lemon juice to it. You may never hear about this mixture before but it does a great job as a laxative. It combines a cup of every food including raisins, pitted prunes, dates, currants and prune juice concentrate. Grind the mixture, store it in the fridge and consume two teaspoons twice a day then constipation never comes back. 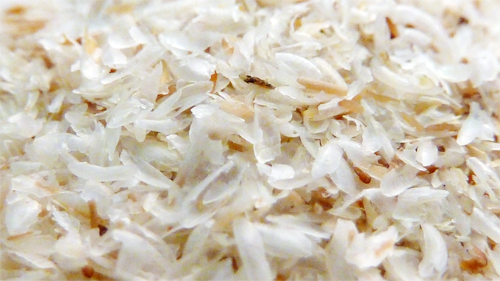 Psyllium husk is a bulk-forming laxative. It promotes regularity and increases overall digestive health but does not cause flatulence. On the whole, it decreases the amount of time you spend in the restroom. Psyllium is also available in capsules, granules, and in liquid form in over-the-counter laxative but natural psyllium husk is highly recommended. The whole seed contains from 6-12% mucilage, which provides a soothing coating along the entire tract. It provides both bulk and softness to the feces. Flaxseeds will not take effect unless they are ground, broken or crushed. Flaxseed ground powder should be consumed as soon as possible because they will go off easily. 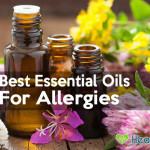 In addition to the list above, there are still a considerable number of helpful natural laxatives such as cinder vinegar, condiments, omega-3 oil, coconut oil, coconut water, water, tomatoes, garlic, carrots, citrus fruits, apples, bananas, melons, papayas, oats, coffee, senna and so on. However, they may provide no benefits or even do harm to you if you use them unwisely. For instance, coffee can provide immense respite from constipation. It promotes your bowel movements and stop stool from being backed up in the colon. However, overconsuming coffee may have the opposite effect as it increases dehydration in your body. 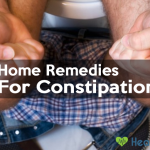 Natural laxatives mentioned above are the most popular home remedies for constipation. Make sure you consult the doctor before using any of those kinds. After all, it is better if you take action to prevent this uncomfortable ailment. Keep a balanced diet, exercise regularly, drink enough water, never ignore the urge to go to the restroom and you will be alright.